For many in poverty, healthcare can be difficult to attain. It is even more difficult to get proper dental care. At Amaus Dental Clinic, an all volunteer staff is working to provide oral healthcare for those who otherwise wouldn't be able to afford it. Their clinic is part of a study that is hoping to bring more attention to the inequality of dental care. 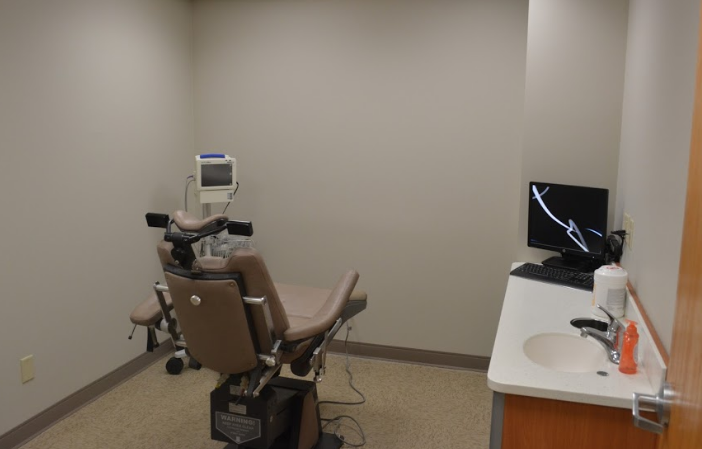 As a part of our series On The Front Lines , Katie Zilcosky talked with staff and researchers at Amaus Dental to find out how they're trying to make dental care more accessible for those struggling with poverty. The Amaus Dental Services Open House saw thirty dentists and healthcare providers circle through with an additional 30 potential volunteers, all full of gratitude for the expanded dental treatment facility on Friday, February 10th, 2017. 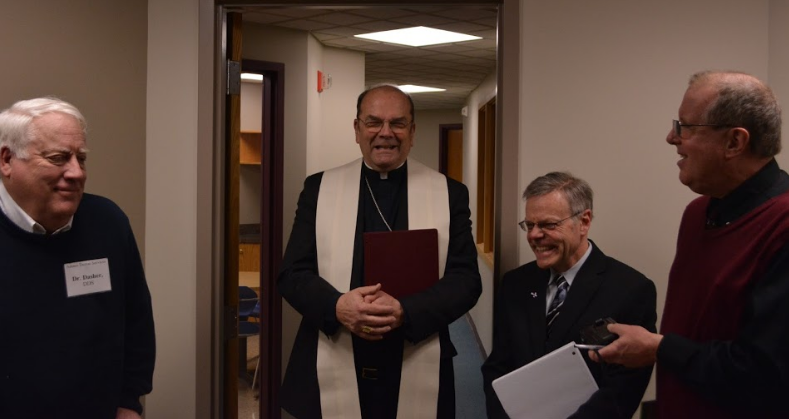 Bishop Cunningham blessed the clinic and we are open, seeing patients. The Staff at Amaus Dental would like to express our heartfelt thanks to the Central New York Community Foundation for their continued support of our mission. Syracuse University’s 2016 Martin Luther King Jr. Unsung Heroes Award brings to light four citizens of Syracuse who go above and beyond for their community. Dr. Robert Fangio provides a much needed service of free dental care for people who cannot afford dental care. Fangio works at the Amaus Health Services a part of a volunteer team who strive to improve the lives of others one smile at a time. Dr. David R. Dasher has been volunteering his time serving patients at Amaus Dental Services since August 2014. Dr. Dasher has been a dentist for 40 years. During his 23 years in the Air Force, he designed dental clinics. “I think we’ll be able to help a lot of people here,” he says of the free clinic in downtown Syracuse. 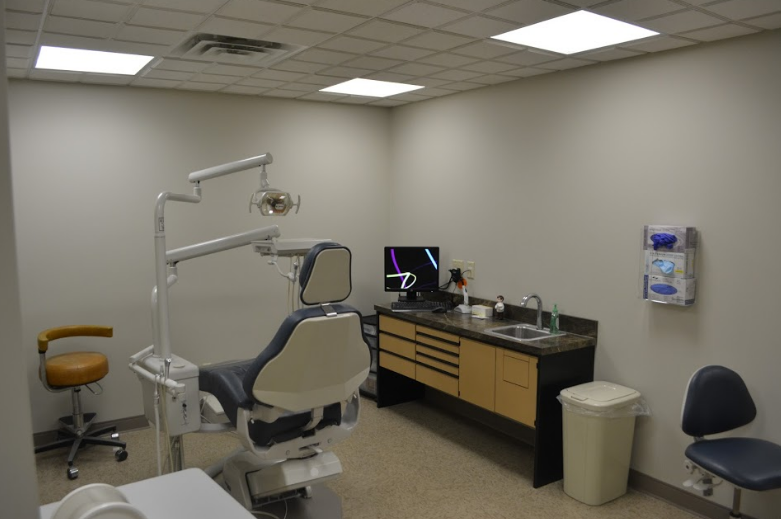 An open house in the expanded clinic is set for Feb. 10 and 11. The Dr. Martin Luther King Jr. Celebration committee is proud to announce the speaker for this year’s event. Best-selling author, actor, U.S. Army veteran and motivational speaker J.R. Martinez will provide the keynote address at the yearly celebration of the life and legacy of Dr. King. This is the 32nd year for the event at Syracuse University’s Carrier Dome. It’s the largest of its kind, and will take place on Sunday, January 29, 2017. The evening program, which includes an address by Martinez, the presentation of the 2017 Unsung Hero Awards, music by a community choir and entertainment by student performers, begins at 5:30 p.m. and is free and open to the public. For questions, call Hendricks Chapel at 315-443-5044. On Sunday, Jan. 29, dinner precedes the program at 4:30 p.m., with doors opening at 4 p.m. Tickets go on sale beginning Nov. 1. For employees, staff and the general public, tickets will be sold through the Schine Box Office, and are available on an individual basis ($30) or in blocks of 10 ($300). Cash, credit or interdepartmental I.D. may be used. All tickets are for general seating. Student tickets are $15 and can be purchased through a meal plan at dining halls. Students without a meal plan can purchase at the Schine Box Office as well. $1000 to Amaus Dental Services for consumable supplies for the delivery of dental care to the indigent in Syracuse. Dr. David Dasher was present to receive the contribution with Dewitt Rotarian, Kathleen Komar and President Cheryl Matt. 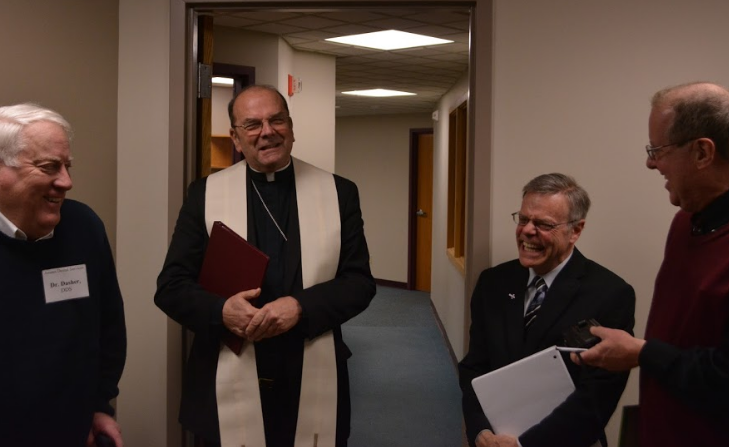 in connection with amaus health services & the cathedral of the immaculate conception in Syracuse, New York.